Industry: Clean laundry by BUWATEC! In August 2015 Buwatec executed, along with a foreign agent, a new project for a laundry at a hotel in Zanzibar. In this installation, the water is pre-treated and purified for re-use. 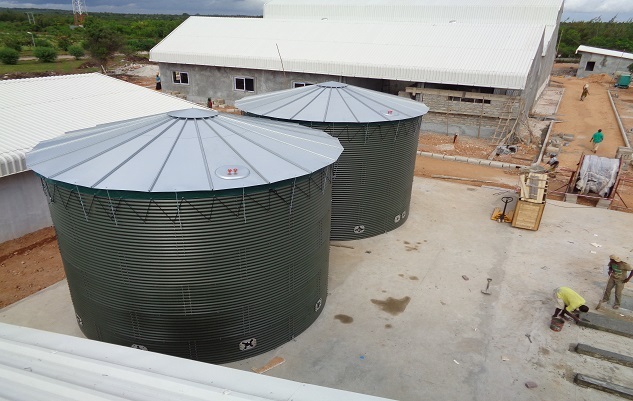 Water of good quality is scarce therefore the tanks are equipped with steel roofs to provide the water from any outside influences. There are also special tank covers installed which can stand additional Chlorine up to 3 ppm. In total there are seven tanks executed with a total capacity of 800 cubic meters.